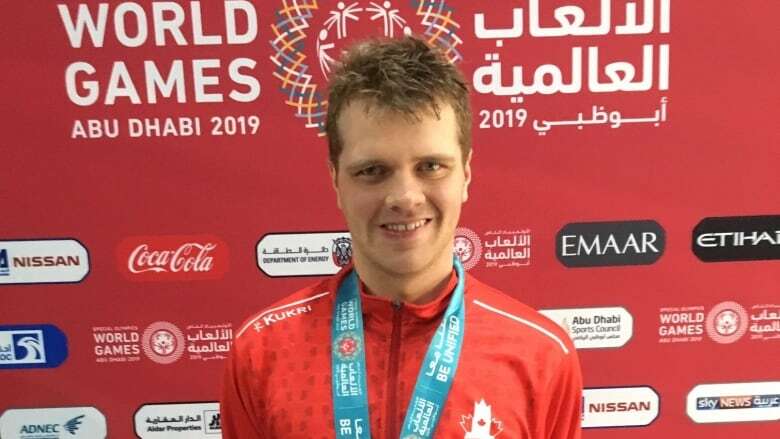 A 22-year-old from Durham Bridge, N.B., won silver in the 400-metre freestyle at the 2019 Special Olympics World Games in the United Arab Emirates on Friday. 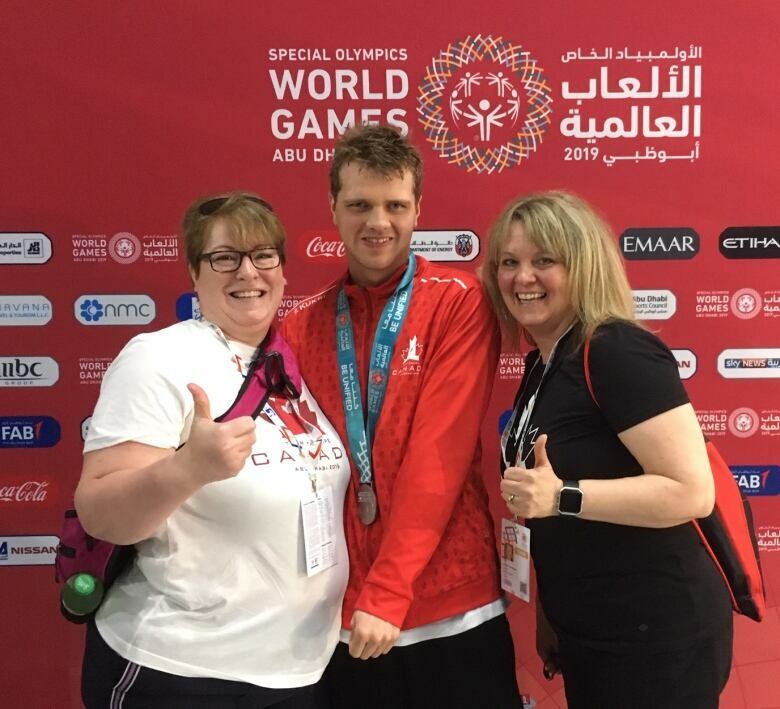 A 22-year-old from Fredericton won silver in the 400-metre freestyle swimming event at the 2019 Special Olympics World Games in the United Arab Emirates on Friday. Jesse Canney was diagnosed with non-verbal autism when he was one and started private swimming lessons when he was seven. His mom, Pam Moxon, said her son was the last off the block when the buzzer went off for the race Friday. But she said he immediately took the lead. "One of the other parents said she thought I was going to go right over the railing," Moxon said of her excitement. "I Just couldn't keep quiet the whole race." The Special Olympics are being held this week Abu Dhabi, with some events in Dubai. Moxon said seeing him win the silver medal was a thrill. "It just means the world because he's come so far from when he was a child," she said. Canney's coach, Carla Dueck, said she's "super excited and super proud of him." "In the back of my head, I thought it could be possible, but not knowing the competition from around the different countries, anything could happen," Dueck said. "I always kind of hoped that if we got here that we would see a medal coming home." Canney has three more events beginning Sunday with the 1,500 freestyle. "He's having the time of his life," Moxon said.